This is a DIY tutorial on how to create a chain headpiece, also check out my thigh chain garter tutorial. These are the hottest trend in fashion! I already had chains and jewelry findings so I was excited to get started. 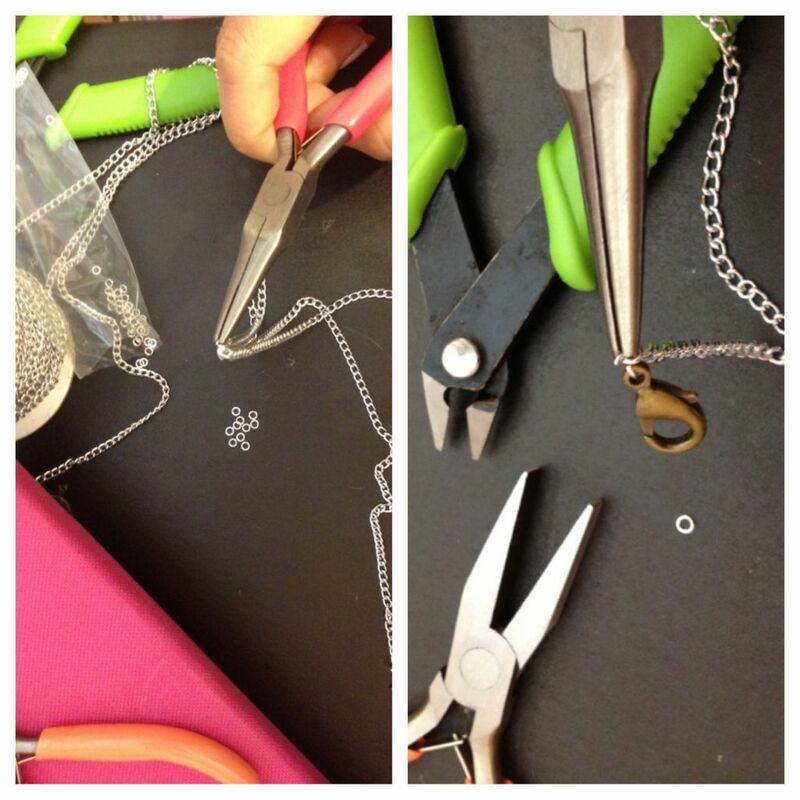 Supplies: Metal Chain, Jewelry Findings: Jumpring, Lobster Clasp, and Jewelry Pliers. 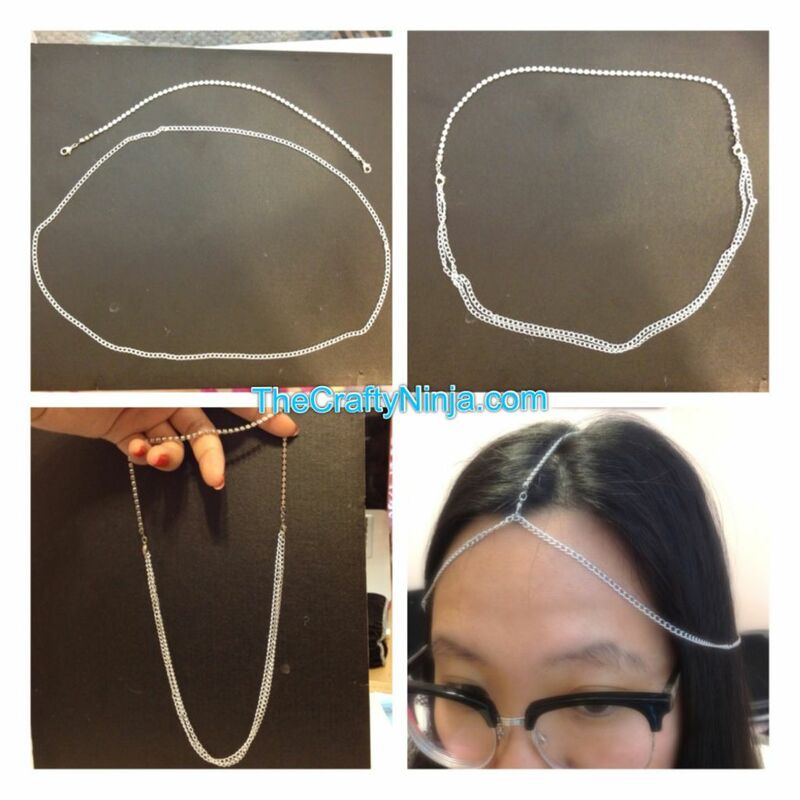 First measure the circumference of your head and cut the metal chain about three inches bigger so that it hangs loosely and make into a circle using a jumpring. 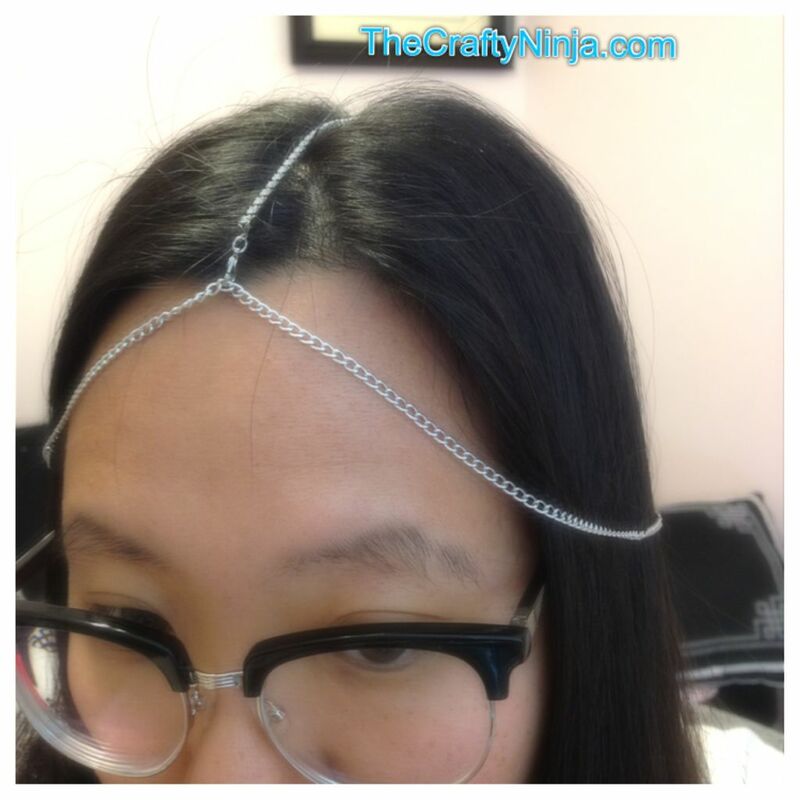 Next measure the distance from your forehead to the back for the middle metal chain. To the middle chain add a lobster clasp to each end. Fold the circle in half and attach the lobster clasp to the ends. 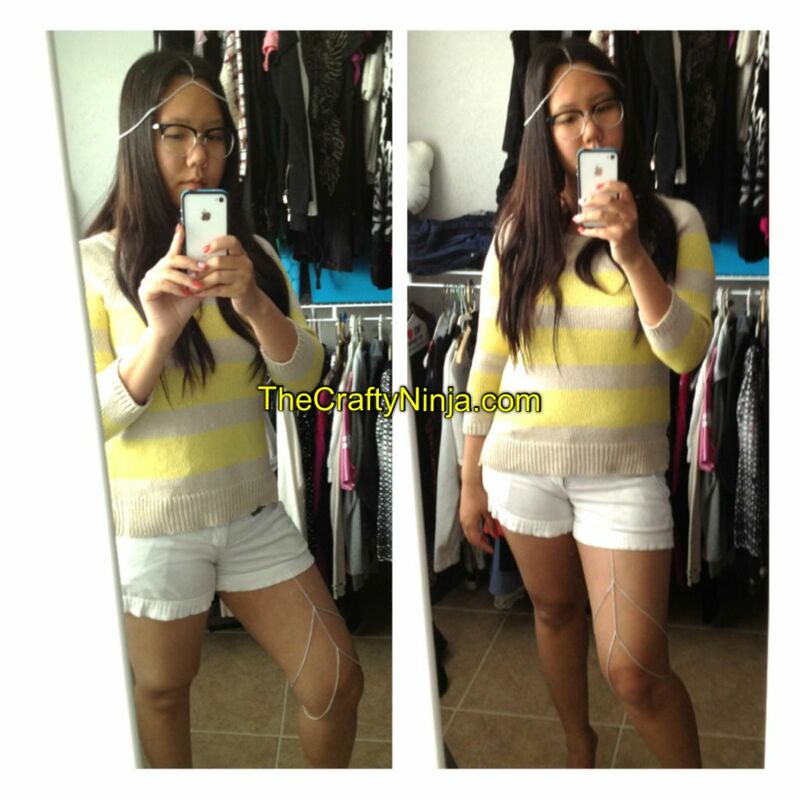 Check out my thigh chain garter tutorial.